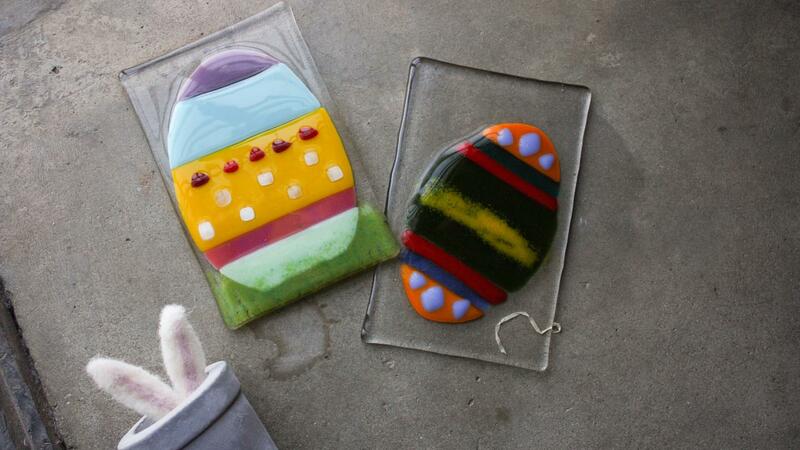 Learn to cut, fuse and arrange coloured glass making your own themed tile. Attach a hook and place your Easter decoration on the wall to see. All class ages are 8+ independently or 5-8 with parent/guardian supervision.